When I go for a nature walk in a local forest, I see trees, birds, flowers, deer. When he goes for a walk — which he does a lot — he sees faces, lots of faces, incredible faces. Gnomes, ghosts, demons, animals, dinosaurs, people, aliens, all staring at him from tree trunks, tree roots, broken branches, gnarly bark, rock walls, even fence posts and barn siding. 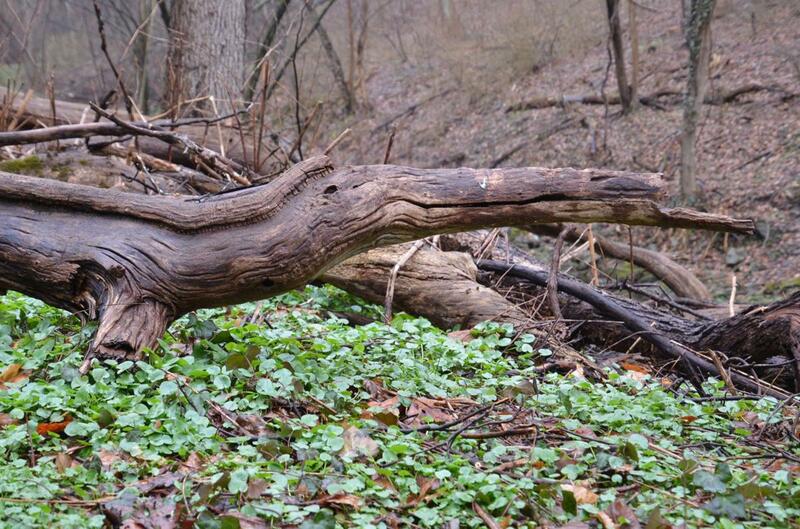 Amazingly, once you start looking for them, there are faces everywhere. And Terry has been photographing them. He just published a book, “Pareidolia: Spirits and Faces of the Wissahickon and Schuylkill Valleys,” which will soon be available in the Schuylkill Center’s gift shop (and on Terry’s website as soon as he sets one up). 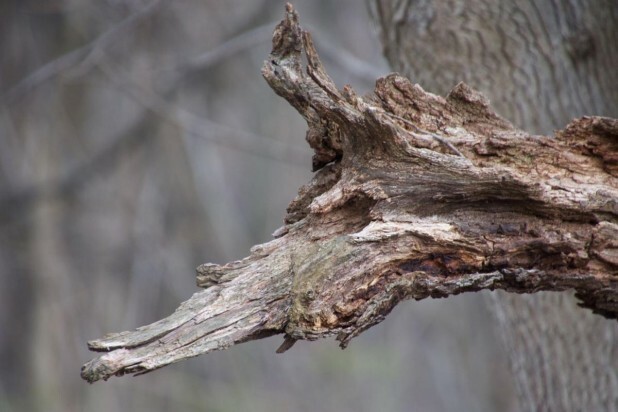 The book’s title, pronounced parr-i-DOH-li-ah, while a mouthful, is the phenomenon in psychology whereby people see patterns in inanimate objects — like trees — and turn them into things they are not. The Man in the Moon is perhaps the best known example of pareidolia. I visited Terry in his Port Royal Avenue home just before the winter solstice, where the retired school teacher — he taught at Germantown Friends for 30 years — was preparing for his annual solstice party. His wife, Holly, also a retired school teacher, also a veteran of Quaker schools (she at Plymouth Meeting Friends), were preparing for a celebration with their three sons, all of whom work in the arts. They’ve lived in their 1840s-era home for more than 30 years and have been careful and conscious stewards of their historic home and barn. But they’ve brought that home into a greener future, their front porch including a portable hoop garden bed where the couple is growing salad greens — in December — and their wood stove reduces their reliance on fossil fuels, which is admirable. 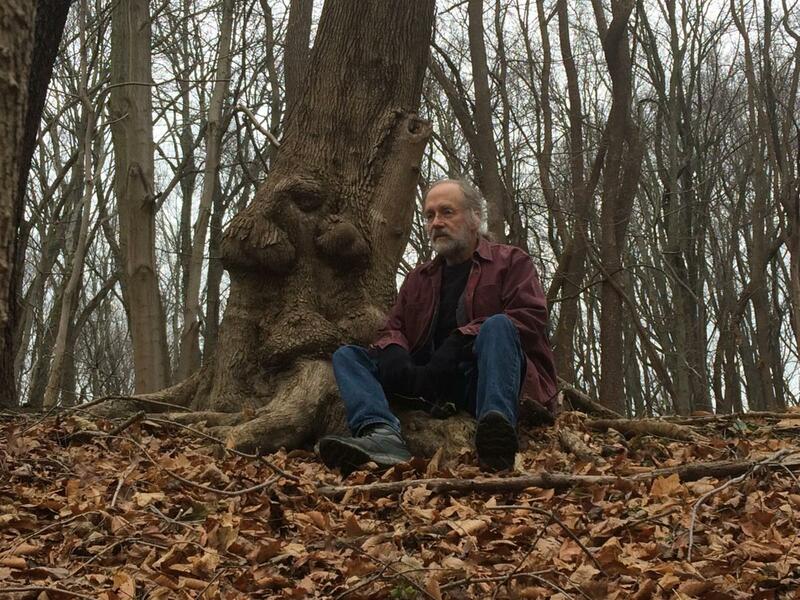 Terry walks “seven or eight miles a day, consistently over 50 miles a week,” he told me, much of it at the Schuylkill Center’s sprawling property across the street and along the Wissahickon. 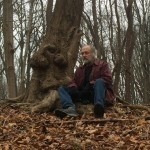 He took me and his dog, Lily, to visit a maple tree at the Schuylkill Center just off Port Royal, where he had his “aha moment.” He had walked past this tree many times, but one day, the wizened face of a gnome frowning at him “just popped out at me,” as the bark’s bumps and gnarls formed a cranky face. He’s since photographed the maple many times and in the book includes a photo of the tree in winter, a dusting of snow giving his gnome a bad case of dandruff. The book’s bio page features an action shot his son took of Terry photographing the gnome. Where Terry sees a unicorn, the author sees a camel. What do you see? For example, he points to a Tyrannosaurus-shaped branch he’s walked by hundreds of times on the opposite side of Port Royal from his gnome tree — and suddenly he saw it, T. rex in profile. When I asked him about the Freudian nature of seeing faces where none existed, he laughed. He also noted it’s a bit of a Rorschach, like a photo he calls “Duck Dinner,” where two mallards on a pond look to me like they’re about to be eaten by a plesiosaur, an extinct reptile, but others see the branch emerging ominously from the water as just another duck. Not sure what this says about me … a sign of my own instability? 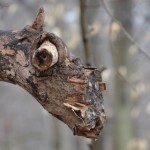 His photography embraces more than pareidolia. “I’m interested in portraits and landscapes,” he said, “where I like to look for patterns,” like a photo he showed me of sycamore bark, its jigsaw puzzle-patterned bark always a favorite of mine. He also loves to add a sense of humor to his work, like a framed color landscape photo in his home of a Mail Pouch tobacco ad painted on the side of a Pennsylvania barn, smoke rising from the barn as if it were a giant chimney — which it clearly is not. But hidden behind the barn is the cooling tower of the Limerick nuclear power plant, steam rising from it creating the optical illusion of the barn as a chimney. While he first taught a sixth-grade class and then seventh-grade English, in retirement, he’s teaching a black-and-white film photography course back at Germantown Friends. 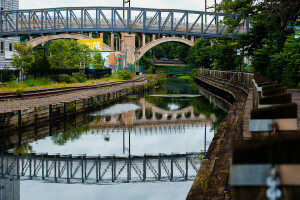 His pareidolia photographs have been displayed before and will appear in the Schuylkill Center’s upcoming “Community” exhibition later this winter. We hope you come see them then. 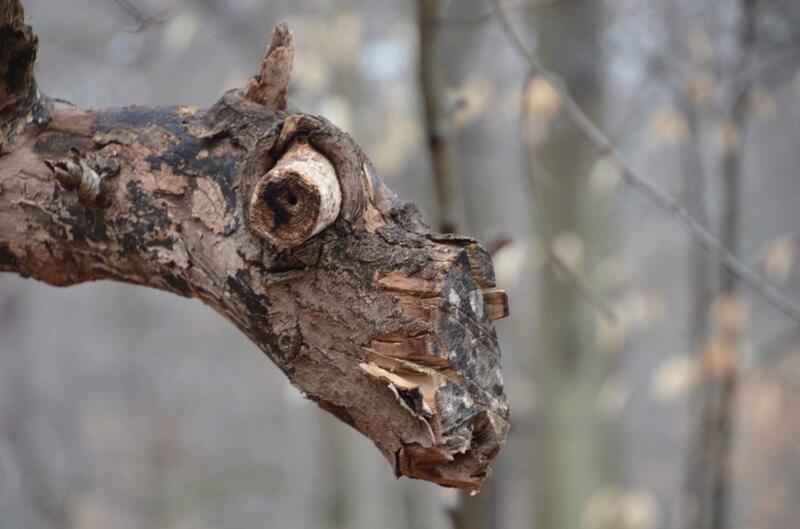 Meanwhile, Willard Terry will continue walking 50 miles a week in natural areas, finding faces where less creative people like me simply see bark and branches. 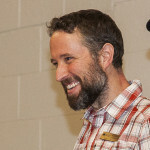 Mike Weilbacher directs the Schuylkill Center for Environmental Education in Upper Roxborough, tweets@SCEEMike and can be reached at mike@schuylkillcenter.org. I’ve been thinking about trees a lot these last few weeks, in part because the leaves are turning color and falling to the ground, something I look forward to every year. But also because the Schuylkill Center just found evidence of emerald ash borers on our massive property, something that is deeply troubling, as we are now faced with hundreds of dead and dying trees. And because not far from the Schuylkill Center, a sister nonprofit cleared about an acre of trees to make room for a playground. Playgrounds, of course, are wonderful things, but losing a whole acre of trees is, for me, the director of an environmental center, hard to stomach. Because we just lost an acre of ecosystem services, something tough to come by in this environmentally challenged world. And because, at day’s end, there are 10 great things trees do for us. First, trees are natural air conditioners. Walking into the Schuylkill Center forest on a hot summer’s day, the temperature immediately drops. The ground is shaded by trees, and that umbrella of leaves protects the soil from the sun’s scorching rays. Trees are literally cool. Trees also filter air pollution, pulling bad stuff out of the leaves—urban smog, say—and putting fresh air back into the world. Those same leaves are air fresheners; when they pull pollution out of the air, they replace it with oxygen, one of the requirements for life. So leaves are oxygen factories, renewing our air. Two mature trees, it is frequently said, provide the oxygen needs of a family of four. That acre of trees that just came down? That’s the oxygen needed for about 18 people to breathe. They’ll have to get it elsewhere. But while making oxygen, those leaves are also pulling in carbon dioxide, a greenhouse gas, the stuff that flows out of our tailpipes in car exhaust and is supercharging our atmosphere. Trees mitigate climate change: the more trees we have, the better our chances of surviving and beating climate change. 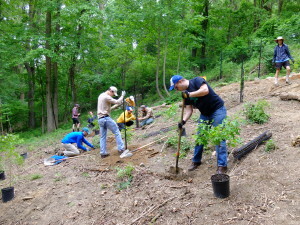 Philadelphia hopes to plant a million trees in the next few years, and the Schuylkill Center has been doing its part in planting new trees on our property. This will not only improve the city’s smog but help us address the scourge of climate change. Everyone in Roxborough has been talking about stormwater in recent years, how the climate’s larger storms flood our streets with too much rainwater. Manayunk has a lot to say about climate change’s impact on flooding, as Manayunk too frequently receives Roxborough’s stormwater. A tree, amazingly, addresses stormwater—a mature tree’s large umbrella of thousands if not millions of leaves slow down rainfall, allowing water to trickle to the ground slowly long after the storm has moved on. And tree roots act like sponges to mop up water, the tree’s dead leaves on the ground underneath the tree also sopping up stormwater. Cool beans: the more trees in our landscape, the better we can address the increasingly intractable problem of stormwater. Trees provide food for all kinds of creatures. A dogwood tree’s bright-red berries are eaten by some 90 species of creatures, including many birds who crave it in the nutrient-starved winter months when the berry is smartly ready. Black cherry fruits are craved by many kinds of birds; acorns are eaten by thousands of species of animals, not just squirrels. Trees, of course, are aesthetically pleasing, lovely to look at—and healing. Evidence indicates that we are hardwired to relax when looking at greenery, so sitting in your yard surrounded by trees can actually lower your blood pressure and calm and soothe you. Trees are healing. And the 10th good thing about trees: money actually grows on trees. According to the USDA, a large tree in front of a house increases that home’s sales price by about $7,130, and if that tree is part of a beautiful, well-kept landscape, your home’s value increases by about 10 percent. Plant trees and your home gets a higher resale value. Join us on June 16th for coffee, donuts, and peak birding! The annual Nesting Bird Census is one of the many opportunities to engage in citizen science at the Schuylkill Center. 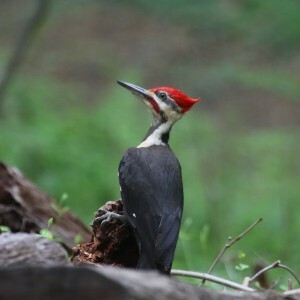 In early May, a small group of us spent a morning walking the Grey Fox loop, the long trail that ventures through diverse habitats meadows—Pine Grove, farms, a stream, and Wind Dance Pond—searching for birds that were then migrating through the Schuylkill Center’s extensive forest. There is a narrow window of opportunity to see them—and our group jumped through that window in style. In a highly organized effort, birdwatchers fanned out across Pennsylvania to count migrating birds. For the first time in a few years, this effort included Philadelphia. While Roxborough was well represented in the count (other teams counted along River Road and the Upper Roxborough Reservoir Preserve), our group looked for which birds were using the Schuylkill Center as a migration stop. Four hours and almost 300 birds and 52 species later, we submitted our census. We counted plenty of year-round residents that you’d see if in December, or if you had bird feeders in your yard: the robin, cardinal, crow, and blue jay. In addition, we saw two predatory birds. A red-tailed hawk rested in a large tree only a stone’s throw from Hagy’s Mill Road, oblivious to the traffic right below. Its rust-colored tail is a easy giveaway, but it also is the most common hawk in Pennsylvania. We also glimpsed a black vulture flying overhead. This soaring, thick-winged bird is a specialist in eating already-dead animals; call them nature’s garbage collectors. What we were all secretly after were warblers, small jewel-like birds, most of whom migrate through Pennsylvania on their way to northern nesting grounds. Obsessive birdwatchers are out a lot this time of year, bending backwards staring high into trees, fighting off “warbler neck” to get a good view. For me, the Holy Grail is the Blackburnian warbler, its head a complicated and stunning helmet of orange-and-black striping. I have only seen a handful in a lifetime of birding, and none showed Saturday. Still, we did great in the warbler department. Then there was the catch of the day: a large pileated woodpecker, the crow-sized songbird upon which Woody Woodpecker was modeled, a blackish bird with startling red crest, armed with a chisel-like beak that breaks off huge chunks of dead wood. Not seen easily or often, this one was focused like a laser beam on the ground around a dead tree trunk—possibly a colony of ants was warranting its attention. Two of the group were skilled photographers, and we made sure they got good shots. There is a higher conservation purpose to all this. Between climate change and habitat loss, outdoor house cats prowling and too many shiny windows to fly into, bird populations are reeling. While Rachel Carson’s 1962 Silent Spring worried that pesticides like the now-banned DDT would remove birdsong from our experience of spring, other issues have arisen to take its place. As noted here last week, migrating birds like those warblers heading between nest sites in Canada and overwintering grounds in South America need protected habitats both in the north and in the south, not to mention in migration corridors along the way. 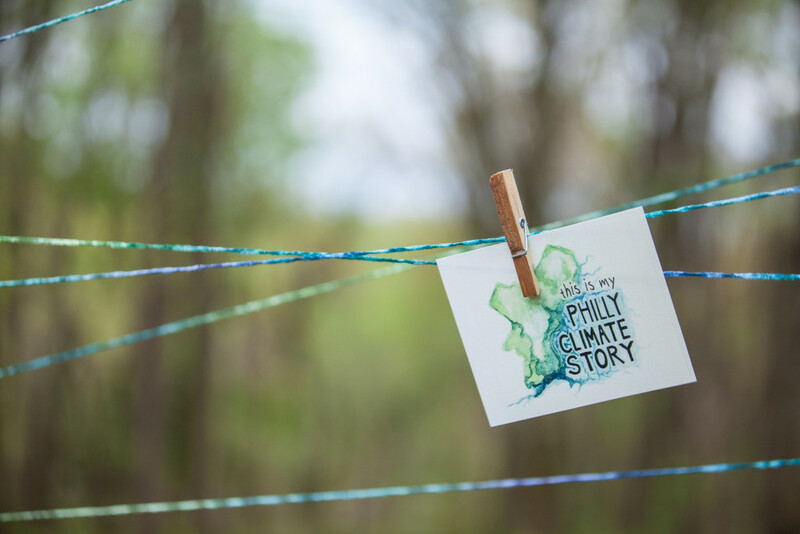 The Schuylkill Center was proud to participate in a conservation effort to document which migrating birds were passing through the region when. Over time, and with years of data, conservation scientists will be able to monitor trends. While we were doing important science, we had the pleasure and honor to be in the presence of some pretty amazing creatures. On June 16th, at the ungodly but very bird-appropriate hour of 6:30 a.m., fueled by coffee and donuts, we’ll fan out across the Schuylkill Center again, this time looking for nesting birds, as the migrants have moved on. We’ve been counting nesting birds for almost 50 years. Come help us continue this crucial citizen science effort and we’ll introduce you to some pretty cool creatures. Mike Weilbacher directs the Schuylkill Center, tweets @SCEEMike, and can be reached at mike@schuylkillcenter.org. See other Field Guide posts here. It’s early spring, just around sunset, and the conditions are just right—55 degrees and humid. A high-pitched trilling rings out in the distance. The shallow water of the Upper Roxborough Reservoir Preserve stirs with excitement. 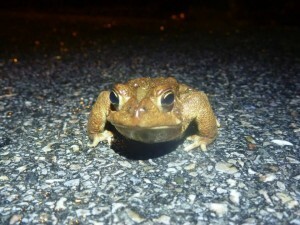 The toads of Roxborough are ready to run—and ready to attract a mate. 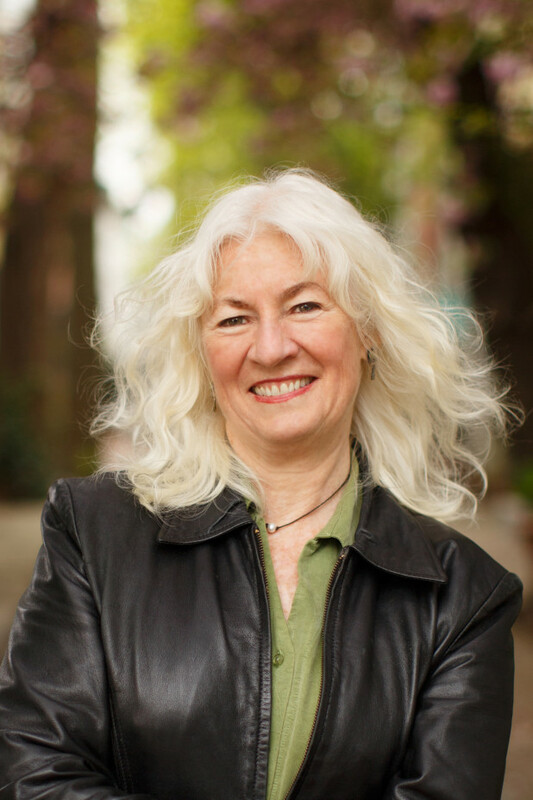 On Thursday, November 16 at 7 pm, the Schuylkill Center presents our highest honor, the Henry Meigs Award for Environmental Leadership, to an old friend and Roxborough neighbor, Kay Sykora. Founder of the incredibly successful Manayunk Development Corporation in the early 1980s, Kay has over the last 30 years pioneered and tirelessly championed the Schuylkill River Trail through Manayunk and Roxborough, leading the effort to transform the canal towpath into the River Trail, now one of Manayunk’s most-loved amenities. She played a key role in the planning efforts that led to the Manayunk Bridge’s reinvention as a multi-modal trail beloved by thousands of bikers, runners, and walkers. 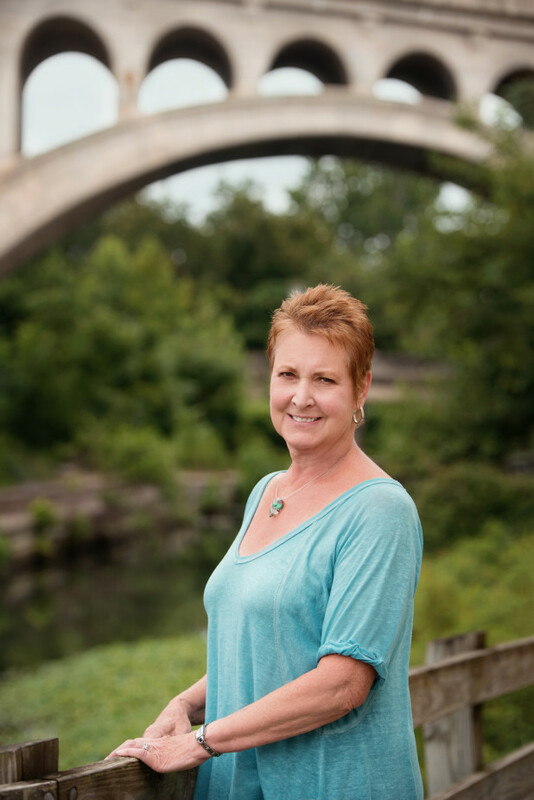 She also founded Destination Schuylkill River to re-connect Manayunk to its river, has been involved in restoring the canal, and is equally passionate about making the towpath a more vibrant and enticing community amenity. She has been a leader in the Central Roxborough Civic Association and co-founded Roxborough Green, a community tree planting and gardening project. 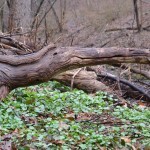 If you take a walk along Smith Run, coming up Ravine Loop below Penn’s Native Acres, the hillsides where the beeches, oaks and maples grow show signs of distress. The structural roots of the trees are visible at the soil line when they should be tucked away cozily wrapped in the warm blanket of leaf litter and organic rich soil. 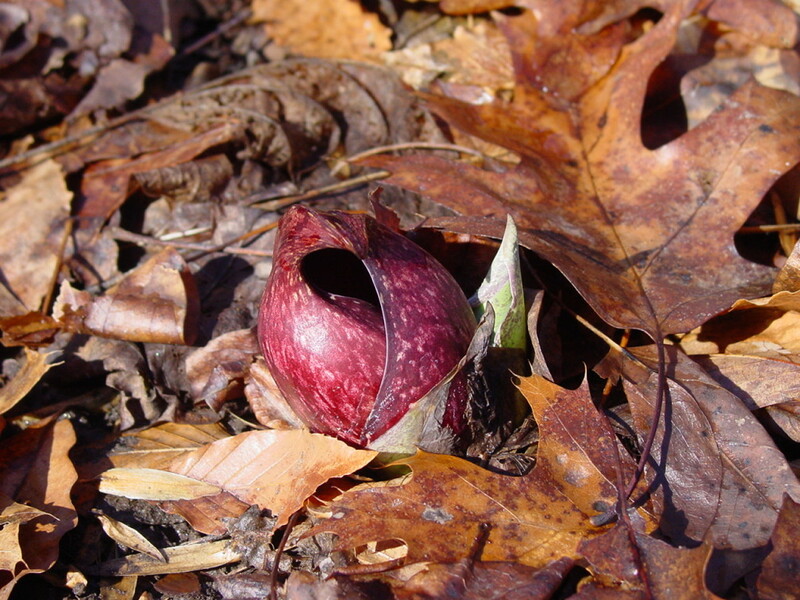 Instead, because of exotic invasive earthworms, which can be observed by scraping away the thin layer of leaves on the ground, the roots are exposed and left to fend for themselves in all of the elements; freezing winter winds, driving rains, and blazing sun. If you look up, the impact on the trees is apparent. Bare branches and diminished canopy reveal their stresses. The trees are dying. In healthy, undisturbed forest soil, we would discover a universe of fungus, microorganisms, bacteria, and insects thriving. All of these elements facilitate the healthy growth and development of plant roots. 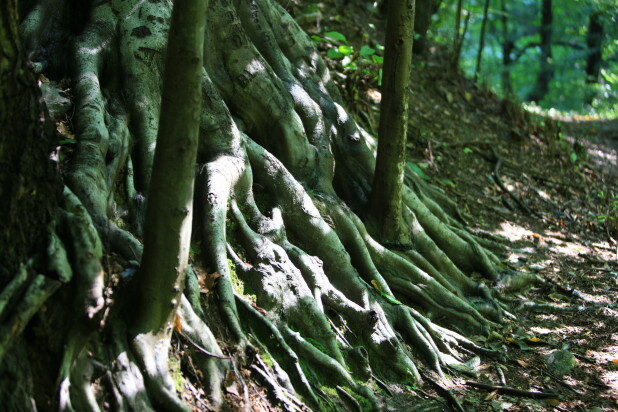 The vast root mat matrix of the organic horizon (the top layer of healthy soil) in the forest acts like a gigantic sponge that collects water when it rains and holds it in storage for trees to use in the drier months of the year. However, in highly disturbed areas like the Schuylkill Center, the organic horizon of the soil is absent. Soil horizon is a technical term for the classification of the cake-like layers of soil. The organic horizon is missing here because hundreds of years of agricultural use have long since removed the original rich soil and left mostly thin, mineral soil at the top of the profile. In fact, parts of our property were in farmland almost until the Center’s founding in 1965. The forest has not been able to redevelop the O horizon as it might have otherwise, largely due to the activity of invasive earthworms. 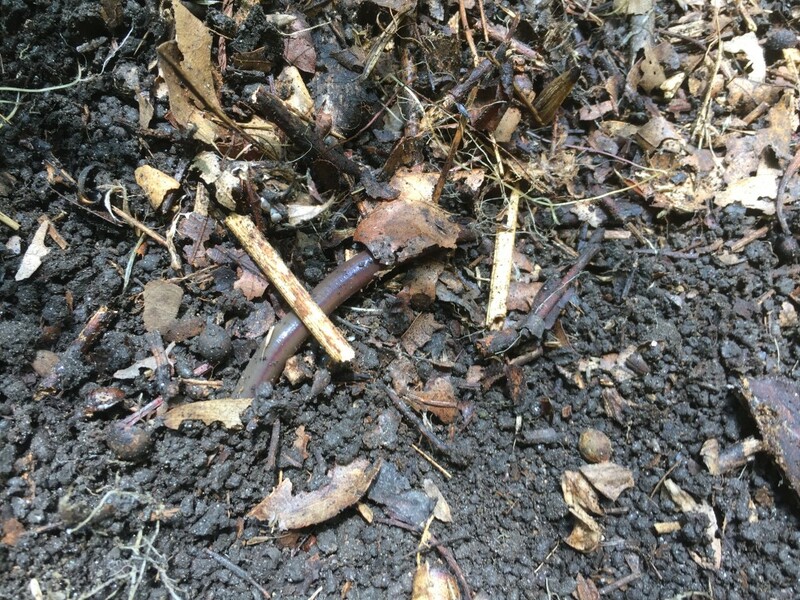 The invasive earthworms are much larger than our native ones, tunnel deeper into the earth and voraciously devour the leaf litter that would accumulate annually in the fall, break down over time to replenish the soil, and rebuild the O horizon. So what is left is a loose accumulation of worm castings on a destabilized base that washes away into our streams every time it rains, carrying many nutrients with them. And when the dry times of the year arrive, the trees have no reserve of nutrients to draw upon. Instead our forest is stressed and vulnerable to attack from pests and diseases that it would otherwise be able to fend off. We can address these problems by improving the soil and providing the roots of trees with a healthy environment to grow and develop. 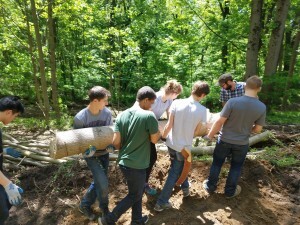 In our Fox Glen restoration site, as we planted new trees we covered the ground around them with wood chips to help the roots retain moisture. The wood chips will break down over time and add to the organic content of the soil. 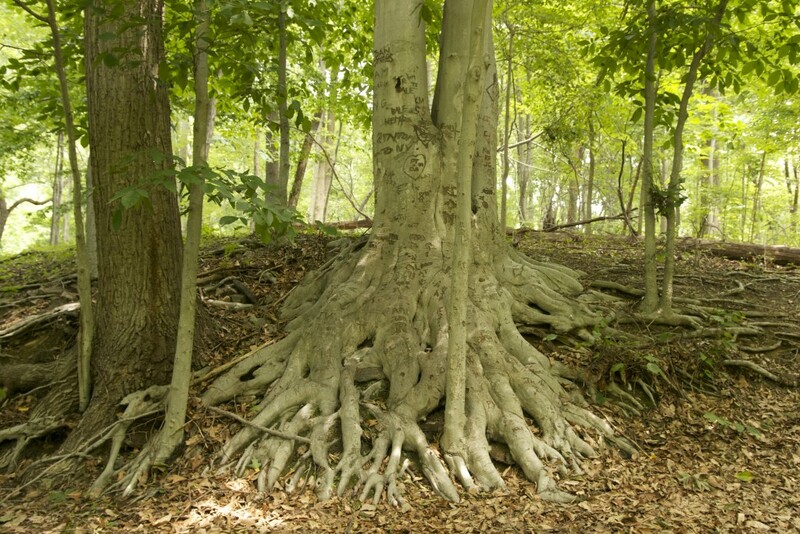 If we want our forest at the Schuylkill Center to survive climate change and the increasing stresses that come from an urban environment, we must help it to be as resilient as possible by replacing the missing sponge. 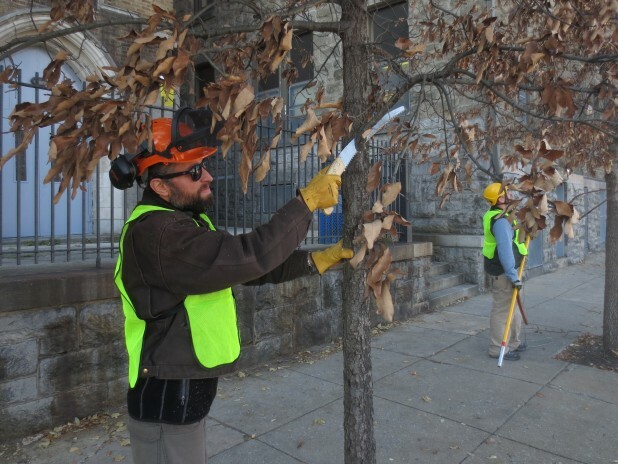 Andrew has a master’s degree in landscape architecture and ecological restoration from Temple University. He hiked the Appalachian Trail from Georgia to Maine in 2005-2006. An excerpt from this piece was published in our summer newsletter in June 2017. SCEE visitors added their climate stories at 2016’s Naturepalooza Earth Day Festival. A big environmental shoe dropped yesterday when President Trump announced, not unexpectedly, his intention to withdraw from the Paris Climate Accord. The Schuylkill Center, along with not only the global environmental community but also, surprisingly, Secretary of State Rex Tillerson, oil giant ExxonMobil, the World Coal Association, Pope Francis, Goldman Sachs, Apple, GE, Weather.com, and the majority of American people, expresses our disappointment in this decision. We also note our commitment not only to fact-based climate change education, but to high-quality science education so children mature into adults who understand, and can apply, the scientific process. As a science education facility, we understand and teach about the avalanche of measurable data like carbon dioxide concentrations already approaching 410 parts per million—from the pre-Industrial Revolution level of only 280, a 46% increase in 200 years. Also observable: each year is incrementally warmer than the one before, glaciers are measurably receding worldwide, polar ice is measurably thinning, sea levels are measurably rising, coral reefs are measurably bleaching and dying, spring is measurably arriving earlier each year, and species are observably disappearing from pristine habitats as weather changes. We firmly believe in continuing the transition to a renewable, sustainable future, and will strive to share that vision with the thousands of people, especially young students, who participate in our programming. We believe in leveraging the power of education to avoid the climate catastrophe that the Paris Climate Accord was hoping to sidestep. As a member, friend, and supporter, we trust you will continue to look to us for the good science and detailed knowledge you need to make decisions about the signature environmental issue of our time.